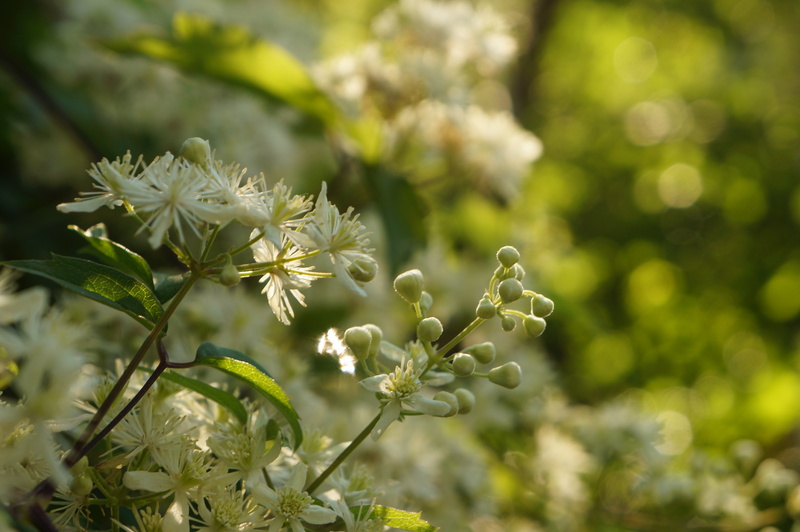 When my husband and I moved into our 1896 Victorian home, almost a decade ago, the yard was overgrown with invasive weeds and trees, and the ground was uneven at best…filled with dangerous, gaping holes is more like it. There was no place to entertain, and no where to sit and relax. In fact, being in our yard was anything but relaxing…overwhelming and anxiety producing was more like it. We knew we needed to change things up, but we couldn’t do it ourselves. We hired an innovate design company, Greener Roofs and Gardens in Milwaukee, WI, to help us develop a plan that would fit our busy lives. In creating our “new” outdoor space, we drew inspiration from the gorgeous neighborhood in which we live. Not far from Lake Michigan, our east side community is nestled between Milwaukee’s Lake Park, designed by Frederick Law Olmsted in the late 19th Century (the landscape architect who also designed Central Park in New York City), and Riverside Park, an urban green space along the Milwaukee River which leads to miles of hiking trails and an arboretum. The two parks are connected by Newberry Boulevard, a stately road lined with a canopy of towering maple trees. Greener Roofs and Gardens completely re-landscaped our home to create a serene, meditative outdoor space that fit our family, reflected our love of wild, natural spaces and mirrored the outdoor environments found throughout our neighborhood. We developed a low-fuss plan (a.k.a., there is absolutely no mowing required, ANYWHERE). 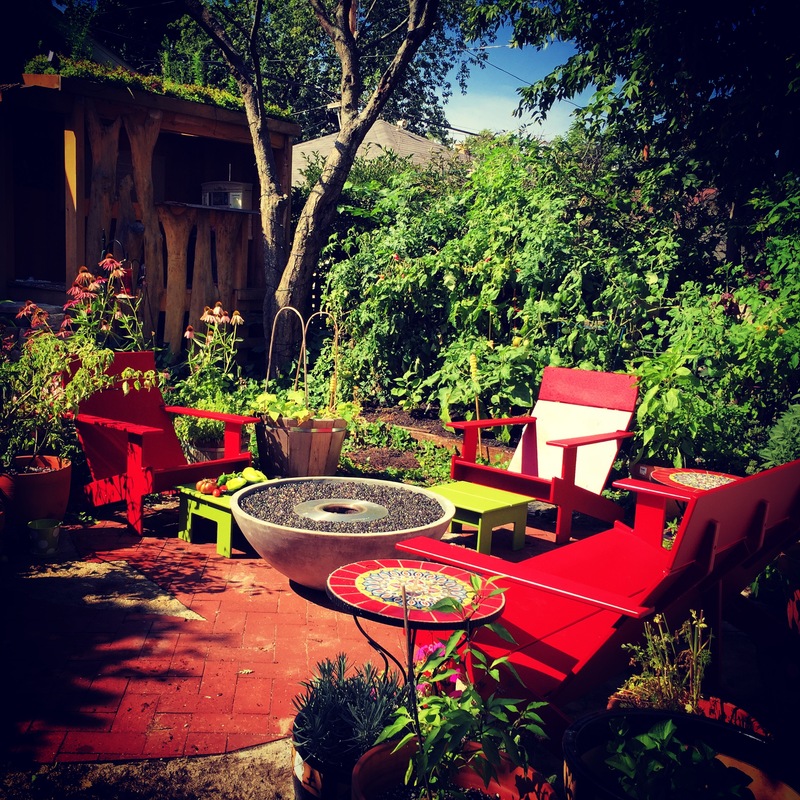 We added a circular seating area for entertaining, a play space for our young daughter which includes a sandbox and a “tree house” with a garden roof, and raised beds to grow and harvest vegetables during the summer and fall. We used greenery (vines, cranberry bushes, and sculptural trees) to screen out the city buildings around us and create a yard that envelopes us in nature. In the front yard, our landscapers created a rain garden filled with native plants and flowers and decorative elements like flagstone walking paths and a free-form stone wall. In Milwaukee, during rain storms, we have issues with runoff taxing our deep tunnel system and this results in raw sewage being dumped into Lake Michigan – our city’s most important natural resource. Our small rain garden is one way to help reduce that runoff. Rather than having rain water flow from our yard into the sewage system, it pools in our garden where our big, hearty plants drink it up. This space is also a haven for honey bees, monarchs and different types of birds. Today I couldn’t be happier, more relaxed or more content sitting in our outdoor space. First of all, it is absolutely lush and picturesque. Second, it supports he way we live! I’m simply too busy to spend all of my time caring for a lawn – and it’s not good for the environment – so this low-maintenance space is perfect for me and my family. Moreover, there are ample spaces for us to garden together, play together, and entertain friends and family. This type of yard wouldn’t work for everyone…and it doesn’t have to – it was made just for us and we love it!